"Big-Shot" cube style. Air-cooled. 33-1/10"W x 29-1/5"D x 42-3/10"H. Production capacity up to 313 lb/24 hours at 70°/50° (253 lb AHRI certified at 90°/70°). 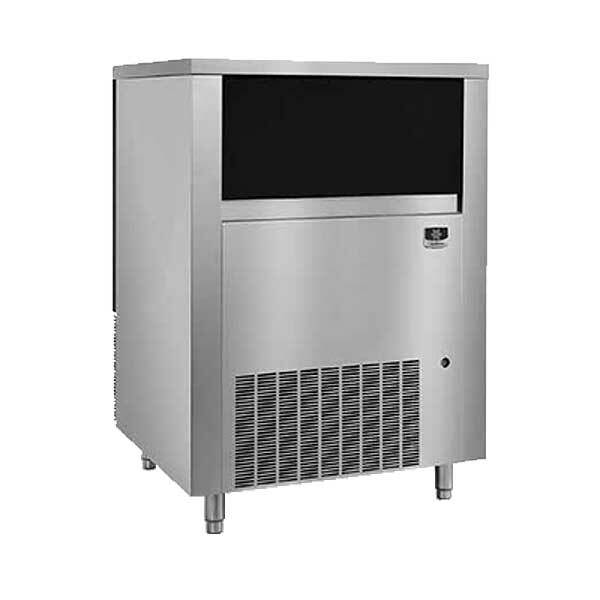 110 lb ice storage capacity. Includes ice scoop. Stainless steel finish. Self-contained refrigeration. 6" legs. 1HP. ETL-Sanitation. CETLus. CE. Dimensions (Inches): Width 33.1. Height: 47.3. Depth: 29.2.